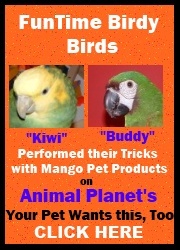 Great for small birds but Amazons and African Greys love them too! Popsicle Sticks Bird Foot Toy (Jumbo) (Set of 13)5ErinMay 12, 2016I purchased the SnoCone bird toy for my cockatiels, Gracie & Elvis and they absolutely LOVE this toy! Every item I purchased have been received with ravenous enthusiasm. After one week, I needed to replace the popsicle sticks they shredded to pieces! I will definitely be a repeat customer! Popsicle Sticks Bird Foot Toy (Jumbo) (Set of 13)5DaliJuly 7, 2013MUST have toy! All the brids love to chew and shred them to smithereens! Popsicle Sticks Bird Foot Toy (Jumbo) (Set of 13)5TeileyNovember 10, 2012I like this toy. Its fun to shred and tear up. I enjoy yelling at it too. Its not too big or heavy so I can carry it to the other end of the cage and hide it so I don't have to share This is my favorite toy and I always have extras on hand so I never run out. Popsicle Sticks Bird Foot Toy (Jumbo) (Set of 13)5Helana CichonNovember 12, 2011These popicle sticks are a good standby for my two Greys. With their bright colors, they are always an attraction in their toy bag, and they love to beat the cage with them before they chew them into toothpicks! Popsicle Sticks Bird Foot Toy (Jumbo) (Set of 13)5Karen D.October 14, 2011I received these as a trial foot toy. Drilled holes in the middle, strung on leather cord with pony beads and dry 'roni wheels. Hours of partying fun for all my guys!